Harvesting field grown tomatoes is a labour intensive process. Unlike processing tomatoes which can be harvested mechanically, field grown trellised tomatoes has to be harvested by hand. 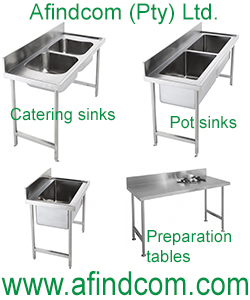 The sorting can be done mechanically. Tomato fruit ripen according to temperature. The ripening process is initiated by the hormone ethylene. In long life tomatoes, ethylene release is reduced, so the tomatoes take much longer to ripen. The colour of tomatoes is determined by the ratio of two chemicals, lycopene (the red colour) and carotene (providing the orange colour). Lycopene is not produced when outside temperatures is above 27°C and an orange colour is dominant. The effect is quite dependent on varieties so heat tolerant varieties will ripen at higher temperatures. The optimum night temperature before harvesting is between 15-20°C (59-68°F). 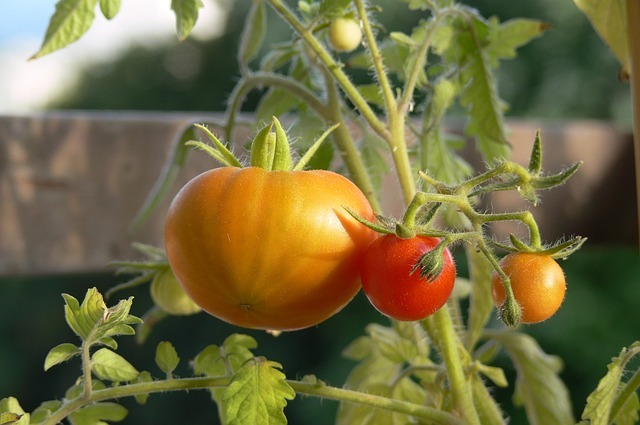 Direct sunlight increases the tomato fruit temperature and if it is kept above 27°C for most of the day the fruit will turn yellow. 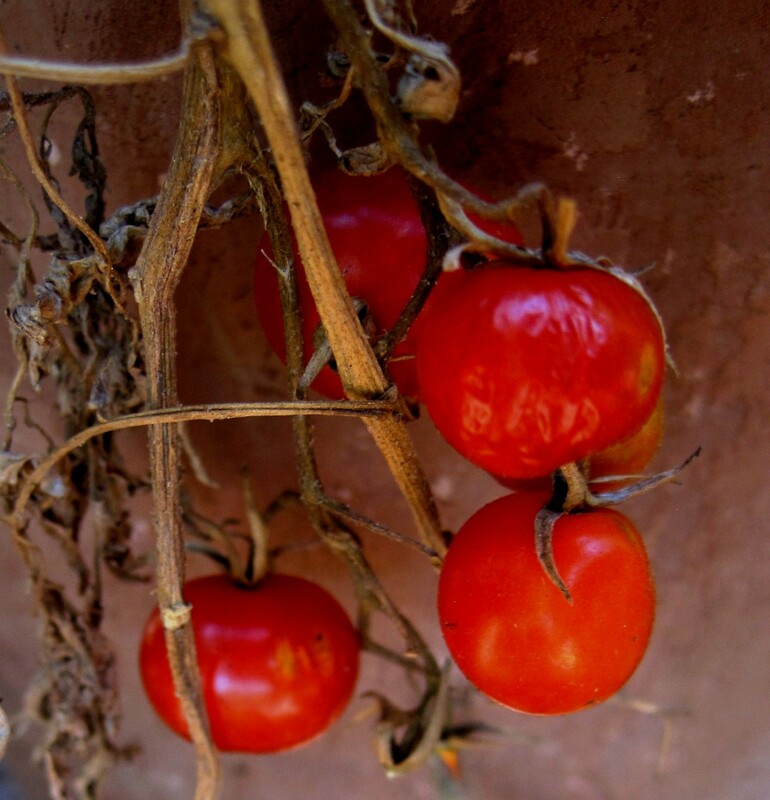 Lower night temperatures favours lycopene production. As long as day temperatures are below 24°C and fruit temperature can be kept below 27°C, lycopene production will ensure good red tomatoes. These extreme temperatures will cause the intermediate orange patchy colour of the fruit. High temperatures cause the fruit to mature 2 days later, these fruit tend also to be softer and shelf life is shorter. Blotchy ripening: mostly caused by sudden rise in transpiration causing water shortage and destruction of cell walls in the fruit. Green shoulders: Mostly variety related but is also due to excessive salt content in the soil. Sun scald: Again a variety dependent physiological disorder. In open field it is hard to control but varieties with good foliage are more protected. Only fruit that are ready for harvesting are picked. If only three fruit on a cluster is ready and the others are still green, the green ones are left on the plant and the ‘ripe’ ones are picked. 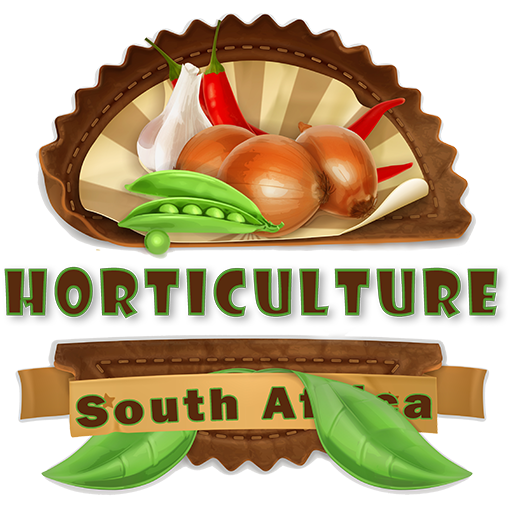 The type of tomato and market segment will determine when the fruit is ready for harvesting. You have to take into consideration when the end user will eat the fruit and/or how long the fruit will stay on the shelves before it is sold. Long life tomatoes are harvested when they are about red while standard beefsteak tomatoes are harvested at ‘breaker’ stage. Ready to harvest field tomatoes. Staking or trellising provides better access to the fruit. 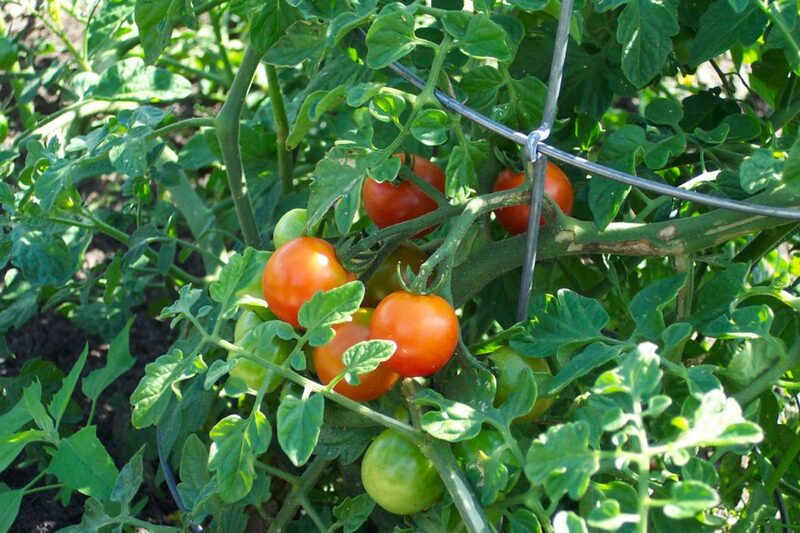 Trellised tomato fruit also have less dirt which makes cleaning quicker. Always harvest firm healthy looking tomatoes. You do more harm to your name and brand by including inferior quality in the mix. Make sure that all the tomatoes are of the same colour as well. The shelf life of varieties differ but in general breaker fruit can be stored for 7-14 days at 10°C (50°F), pink fruit for 4-8 days at 12-15 °C (54-59°F) and red tomatoes 5-10 days. Remember the best time to harvest tomatoes is early in the morning. They have more moisture so the fruit are harder and less prone to damage and bruising. Processing tomatoes are harvested when they are red and ripe. Sometimes over ripe is also accepted. The processors tend to focus on the lycopene and carotene content as these chemicals are important in the colour of the juices and pasts they manufacture. Processing tomatoes are harvested when they are red and ripe. The processing type tomato is also very popular with restaurants as they have less gel. So there is a good market for these fruit if the processor does not buy your whole crop.